If you click here you can view a video on the New York Times website regarding the dangers of texting and driving. The video clip points out all of the statistical dangers of using your phone while driving. For example, studies have shown that talking on your phone while driving is so distracting that it is the equivalent of having a blood alcohol content of .08, which is legally drunk for driving. I have written on this subject and discussed multiple studies in the past on this blog. The reason I am posting this video is due to all the people interviewed in the clip. Many of the people all admit to using their phone (talking and texting) while driving. People know it is dangerous – – they see others being distracted by it – – yet they continue to do it. It is kind of funny because the only person interviewed who admitted to switching to a blue tooth for his ear stated that he switched over because he had received 5 tickets for using his phone while driving. I find this amusing because I have argued over and over that the only way to convince people to stop texting in driving is to increase the penalties. Raise the fines, require safety classes and if someone is injured in a crash, then suspend the license and threaten jail time. I am convinced that this is the only way to convince people to stop texting and driving. If you or someone your love has been injured in a Chicago car crash or Chicago truck accident, then call Chicago personal injury attorney, Aaron Bryant, for a free consultation at 312-588-3384 or go to the firm website at www.blgchicago.com. I wrote last week about the drastic increase of drivers who texted behind the wheel.The National Highway Traffic Safety (NHTSA) administration found these text and drive results among U.S. drivers through various studies. This type of restriction is going to face serious opposition I believe from both Republicans and Democrats. There will also be strong opposition from each state as they will argue that it is an issue they can legislate themselves. Personally, I think it will be difficult to justify a complete ban on cell phone use for drivers as so many people rely on their phone for business purposes. Yet it appears that the government studies are correct in asserting that texting and driving is an epidemic similar to drinking and driving. As I mentioned last week, until people recognize the potential consequences of texting and driving (similar to not wearing a seat belt or driving while drunk), then people will continue to type on their phones while driving. How do we change this mentality? For now it will take time, but just like drinking and driving laws, the local, state and federal governments need to enact stiffer penalties. The National Highway Traffic Safety Administration (NHTSA) released some startling news last week about texting and driving. According to several different studies performed by the NHTSA, drivers who have texted on their phones while behind the wheel increased by 50% over the past year. The NHTSA takes an annual snapshot of drivers’ behavior by staking out selected stoplights and intersections to count people using cell phones and hand-held Web devices that allow them to text, view directions, check emails, surf the Internet, or play games. At any given time, just under 1 percent of drivers were texting or manipulating hand-held devices. The activity increased to 0.9 percent of drivers in 2010, up from 0.6 percent the year before. In a separate telephone survey of drivers, 18 percent said they’ve sent texts or emails while at the wheel. That number jumps to half among younger drivers, ages 21 to 24.The survey also found that most drivers will answer a cell phone call while driving and most will continue to drive while they talk. NHTSA surveyed 6,000 drivers ages 18 or older in the national poll conducted a year ago and released Thursday. “What’s clear from all of the information we have is that driver distraction continues to be a major problem,” NHTSA Administrator David Strickland said. This is somewhat disheartening news considering the amount of effort state and federal legislators have done to enact bans on texting in driving the past few years. It is illegal to text and drive in the city of Chicago along with a statewide ban in Illinois. I have said this before but, it seems to be more apparent than ever, that people in the U.S. are reacting in a snail like pace to adapt to the new texting and driving laws. This is similar to the way this country reacted to seatbelt laws in the 1960s. I guess people do not realize just how dangerous it is to text and drive. Maybe local and state legislators need to consider stiffer penalties, especially if a the texting causes a car accident involving personal injury or property damage. If you or someone you love has been involved in a serious car accident or truck accident in Illinois, then call Chicago personal injury attorney Aaron Bryant for a free consultation at 312-588-3384 or go to the firm website at www.blgchicago.com. The Chicago Tribune reported recently about an Allstate study that revealed many interesting findings about supposed “good” drivers. The surveys revealed that 89 percent said they’ve driven faster than the speed limit, 45 percent said they’ve driven when they’re so tired they could fall asleep and 34 percent conceded they had sent an e-mail or text message while driving, according to the survey of 1,000 adults polled by Financial Dynamics for Allstate insurance company. 70 percent of those who responded said they had to slam on the brakes or swerve to avoid a car accident after they became distracted. These are somewhat startling statistics. I guess one could compare this to the early implementation of the seat belt. I have read that when the seat belt was added to vehicles in the early 1960s, only about 10 percent of drivers actually buckled up. It took several decades before drivers became smarter about the dangers of not wearing your seat belt. Study’s show that approximately 80 percent of drivers wear their seat belts today. The evolution in seat belt use most likely came from stricter state laws and city ordinances along with a fervent public safety movement. Hopefully the same evolution takes place with the use of cell phones while driving. Evidence is overwhelming that it is extremely dangerous to text or talk on the phone while driving. It will be interesting to see if these statistics change in the next 5 to 10 years. Should you or someone you love become injured in a Chicago car accident or Chicago truck accident, then call Chicago injury attorney, Aaron Bryant, for a free consultation at 312-588-3384 or go to the firm website at www.blgchicago.com. I have written about this issue several times in the past and we knew a law was coming. While the time is now as Illinois will become the 17th state on Thursday to ban texting while driving, a safety worry that has caught the attention of the federal government. Gov. Pat Quinn will sign an amendment to the Illinois Vehicle Code that prohibits writing, sending or receiving text messages while driving, said the governor’s spokeswoman, Marlena Jentz. The bill does make texting exceptions for drivers who pull over to text or shift their car into park or neutral to message while stopped in traffic. Studies have shown that those who text while driving have an exponentially greater risk of an car accident or near car accident. A Virginia Tech Transportation Institute study found that truck drivers who texted while driving were 23 times more likely to be in a car crash or nearly get into car wrecks than undistracted drivers. Compared with dialing, talking, listening or reaching for an electronic device, texting posed the greatest car accident risk, the study found — most likely due to the almost five seconds researchers found the drivers’ eyes were off the roadway while texting, said Rich Hanowski, the director of the Center for Truck and Bus Safety at the transportation institute. The focus on texting while driving comes after a some high-profile accidents. In September, a California commuter train engineer missed a stop signal while trading text messages with a friend, leading to a collision with a freight train that killed 25 people, according to federal investigators. A mass-transit accident in Boston, Massachusetts, injured 62 people in May. The operator of a Massachusetts Bay Transportation Authority trolley was later charged with gross negligence after he admitted he had been texting seconds before the collision with another trolley, according to the Suffolk County district attorney and a National Transportation Safety Board official. To read the entire story from CNN.com, click here. This is a big step made by Illinois lawmakers to make our roads safer. Based on all the studies we have read about and that I written about in previous posts, this is not surprising at all. It will be interesting to look at car accident statistics in the next few years. 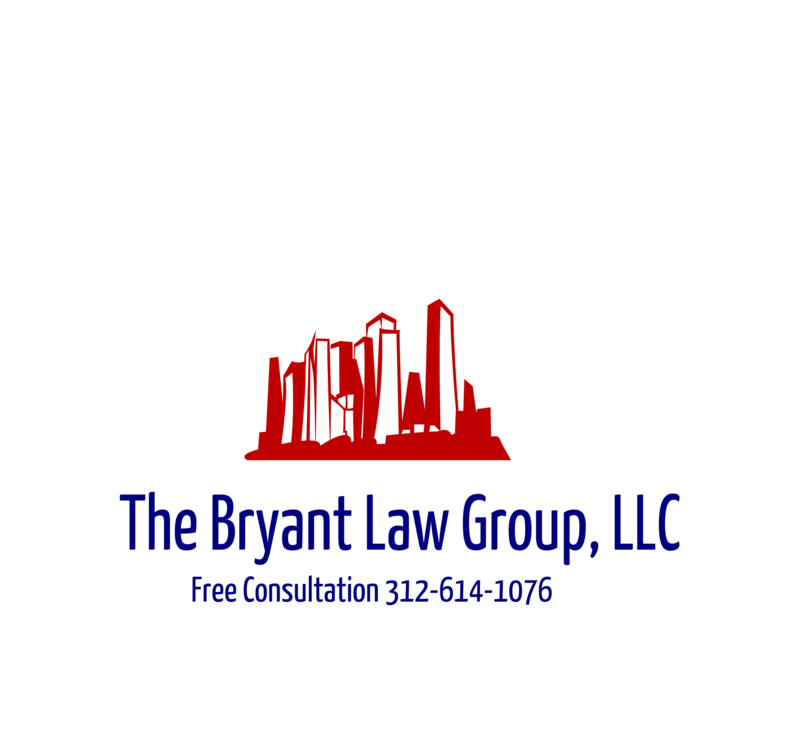 If you or someone you know was involved in an Illinois car accident or an Illinois truck accident, then call attorney Aaron Bryant for a free consultation at 312-588-3384.